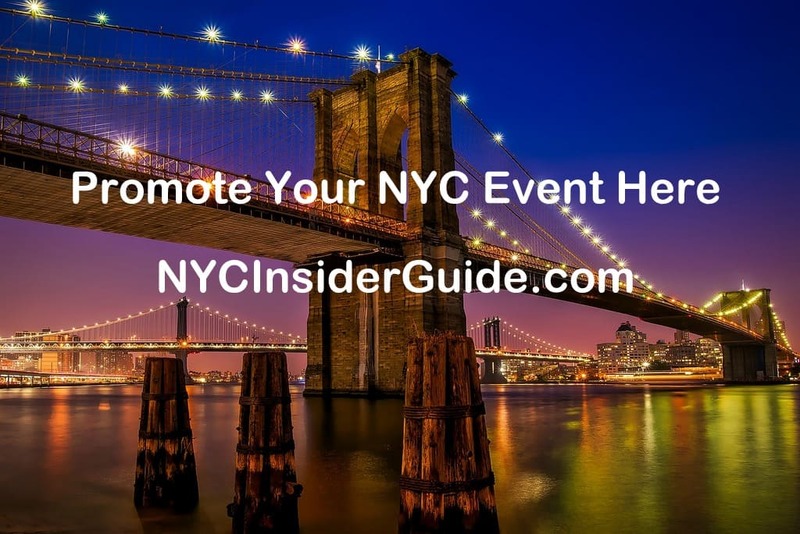 Promote your New York City Event or Business. We LOVE to hear about everything happening in NYC, so we can tell all our site visitors about the latest and greatest. We offer tons of ways to promote your NYC happenings. You may add any event, show, concert, festival, restaurant, sample sale, venue, tour, hotel, restaurant, attraction and more in NYC. There is no faster, easier or more cost-effective way for YOUR event to be highlighted in Google’s #1 spot. Learn more and see screenshots of our rankings results! 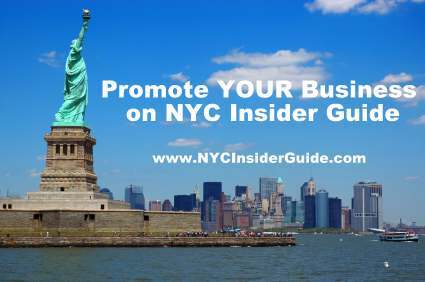 Event Promotion (Free) – apply for inclusion on NYC Insider Guide and get listed here. Subject to editor discretion. Ready? Choose Your Featured Package and Get Posting! Thank You! Choose your Event Post Package and click "Add to Cart." Events usually require around 10 business days to go live, as I review each event personally, or you can add "Rush Post" to your cart (in addition to the featured package). Buy 4 Promotions and Get 1 FREE. See Bulk Pricing Packages below. Thank you! All bulk packages include a 20% discount (Buy 4, Get 1 Free) and can be used up to 12 months from original date of purchase. Learn more and see screenshots of our rankings results! Have more than 10 events a year and want a bulk discount? 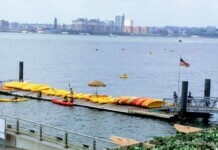 Local Non Profit (ie, Museum, Central Park, Highline) and want to promote on our site? Looking for a custom or enterprise solution or monthly promotion discount? We LOVE to work with local businesses. Contact Melissa and we will work out something! 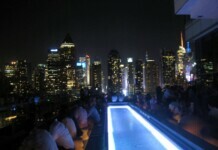 NYC Insider Guide consisently ranks in the top pages of Google and other search engines for New York City Events. We usually have the #1 spot and 1 other spot on the first page of search results. Get YOUR event listed in the top spot on Google for NYC/NJ and tourists to NYC easily by using our expertise and years of experience. Learn more and see screenshots of our rankings results! Ready? Choose Your Event Package and Get Posting! Thank You! Our main Sample Sale page receives 5,000-10,000 visitors per DAY. 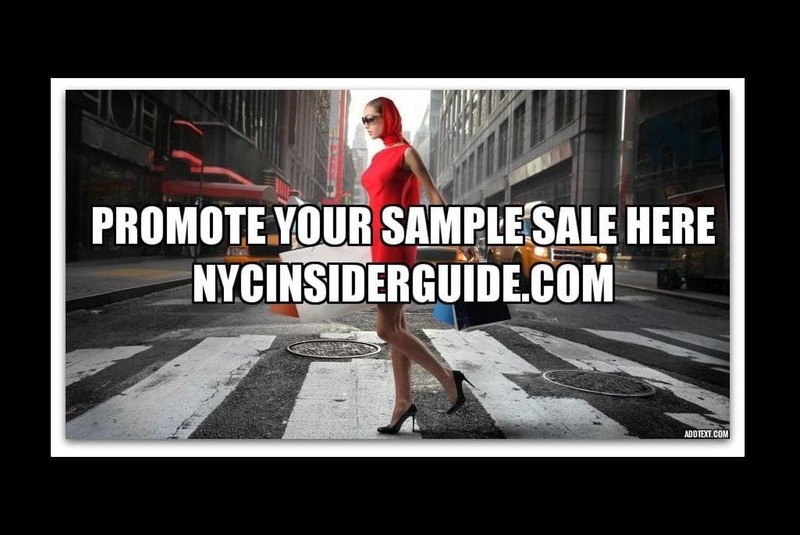 There is no faster or easier way to get your Sample Sale in front of NYC’s designer shoppers! Ready? Choose Your Sample Sale Package and Get Posting! Thank You! 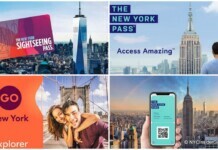 Promote your store, restaurant, hotel or other full-time business to a variety of NYC tourists and locals. This is for full time, year-round businesses with a local NYC physical address. We are excited for you to really feature your business to our site visitors, so let’s make it count with thorough descriptions, great images, coupons (where applicable), and whatever else will make your business shine. Ready? Choose Your Promotion Package and Get Posting! Thank You! Event title MUST be Simple and Descriptive (10 Word Maximum). Include a descriptive word such as sample sale, show, festival, concert, charity, art exhibit. Bad Event Titles, "Hottest New Satire of Latter Day Saints" or "Celebration & Reflection" or "Happy Times" (yes, these are real submissions we've received). This isn't about cute marketing or PR gimmicks. The nature of your event should be perfectly clear in your headline. Events must be submitted in article form, not as a Press Release. Must include one .jpg image, named descriptively. Do NOT upload images with generic names such as "image-1" or "logo" or "flyer." (Name your images to coordinate with your post, such as "nike-shoes-sample-sale.jpg." Images with generic names such as "image-1" or "logo" or "flyer" will be deleted. Image maximum upload size is 100 Kb and max width is 1024px. Please use iloveimg.com to format or size your image (click resize, upload, change width to 1024, then click compress and download). 4) I understand that if I did not follow ALL instructions in the submission guidelines and in the form fields, my event will not be posted. All submissions are published at the sole discretion of the NYC Insider Guide and generally take 10+ business days to be posted. Ready? Choose Your Featured Listing Package and Get Posting! Thank You! The Empire Event Promotion Package is designed for MAXIMUM exposure to 100K-200K site visitors per month. Here are some are details behind what we do to ensure you reach your target audience. 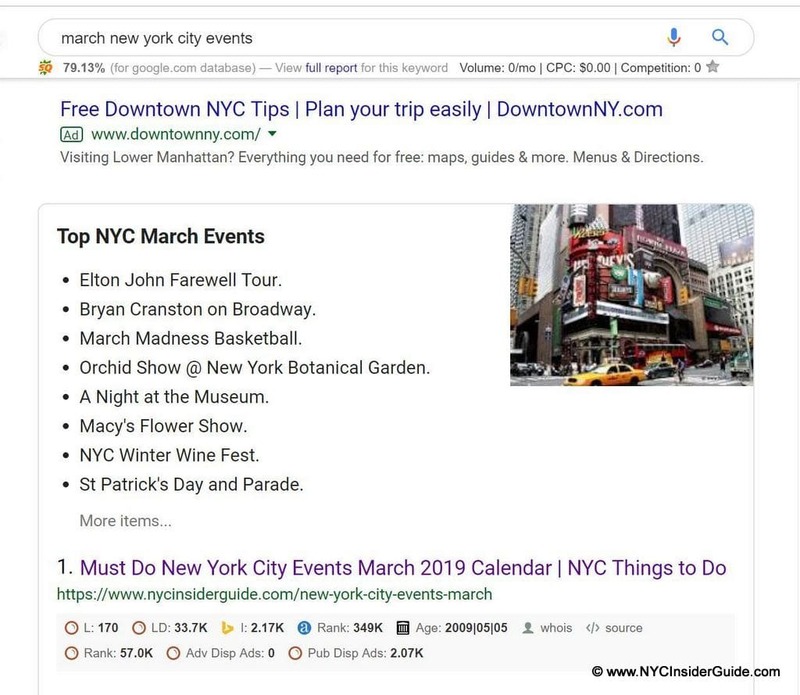 Our Top NYC Monthly Events box is often a featured #1 google search result. The Empire Event Package includes a listing in our "Top NYC Monthly Events." We usually have the #1 spot and 1 other spot on the first page of search results. The Empire Event Package includes special coding that may get your event listed with a link directly to your event page on NYC Insider Guide. Your event will be coded like the Orchid Show, St Patrick’s Day and Billy Joel below. NYC Insider Guide consistently ranks in the top pages of Google and other search engines for New York City Events. We usually have the #1 spot and 1 other spot on the first page of search results. Get YOUR event listed in the top spot on Google for NYC/NJ locals and NYC tourists easily by using our expertise and years of experience. There is no faster, easier or more cost-effective way for YOUR event to be highlighted in Google’s #1 spot. 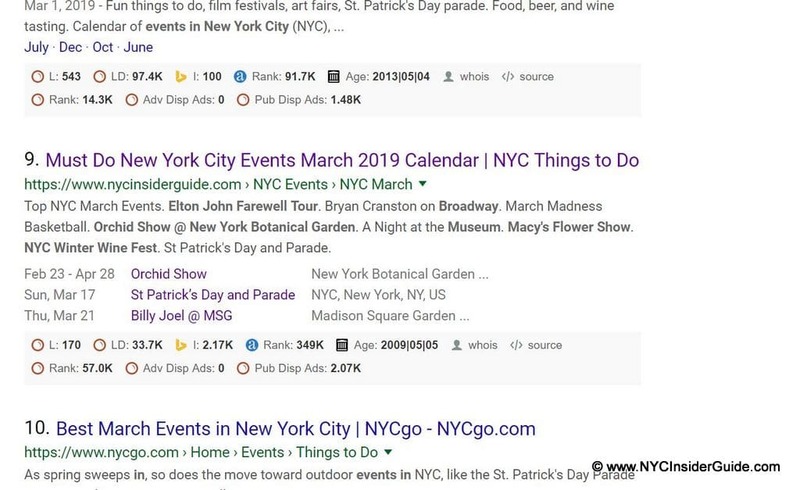 Choosing the Empire Event Package means you have a good chance of your event being listed TWICE on the first page of search results for locals and tourists looking for Monthly Events and Things to Do in NYC. Event title MUST be Simple and Descriptive. Include a simple, reader-friendly descriptive term, such as sample sale, show, festival, concert, charity, art exhibit. – Bad Event Titles, "Hottest New Satire of Latter Day Saints" or "Celebration & Reflection" or "Happy Times" (yes, these are real submissions we’ve received). This isn’t about cute marketing or PR gimmicks. The nature of your event should be perfectly clear in your headline. Events must be submitted in article form, not as a Press Release. The first paragraph MUST be a Full Paragraph and be several continuous sentences of at least 5 lines of text. NO PRESS RELEASES. Original content not published elsewhere only. If the event is not Manhattan, public transportation must be included. Events submitted without payment are automatically deleted – they go to the internet "black hole." When submitting payment, there is a Memo Field in Paypal (it is tiny!!!). Please add the name of your event there. Image Names – Must include at least one photograph, named descriptively. Do NOT upload images with generic names such as "image-1" or "logo" or "flyer." (Name your images to coordinate with your post, such as "nike-shoes-sample-sale.jpg." Images with generic names are not posted. Image Size Restrictions – Image maximum upload size is 100 kb and max width is 1024px. No exceptions, as larger files will be automatically deleted. Please use picmonkey.com or iloveimg.com to format your image. Landscape images look much better on the site than portrait pics. Correct spelling, punctuation and grammar. This is a quality website and only quality submissions will be accepted. Please allow AT LEAST 10 business days for listings to go live, as I review each event personally. You may also choose a 5 Day Rush Post, which is an add on to any event listing package. The Rush Post must be added to your cart, along with an Event Package Purchase. Please SHARE your page once it goes live or share the homepage today! The power of group posting allows a site with more links and likes to get YOU much more traffic. I really try my best to accomodate all businesses and events, but my ultimate goal is always to maintain a successful site, which takes time and resources. Submissions that DO follow the guidelines still take me 15 minutes each to approve, edit and process, so I am quick to delete any that don’t follow these instructions precisely. 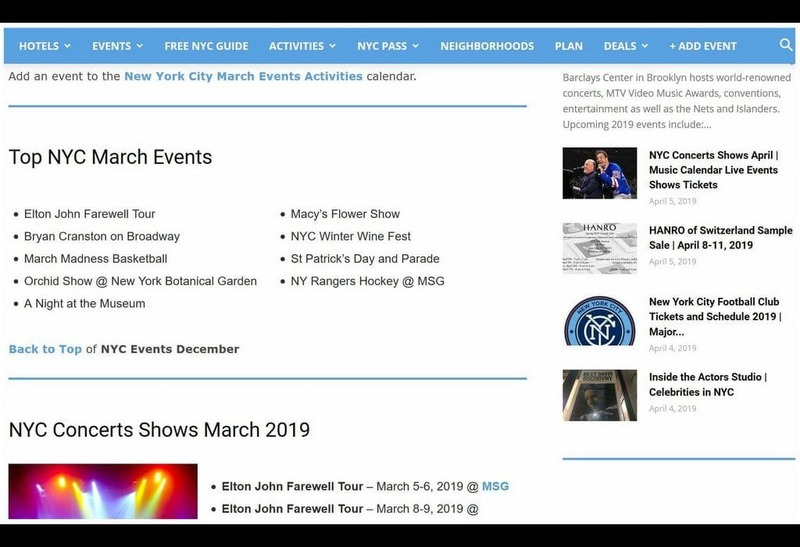 Please Note: The best events and business for NYC Insider Guide usually fit with the theme of the site and appeal to a wide audience of both Tourists and Locals. Generally, only 5-borough listings will be posted. Religious events, one day business conferences and one-night shows at small venues, especially outside of Manhattan, will likely not be posted. 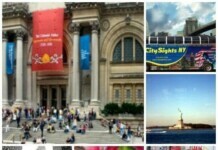 Promote your store, restaurant, museum, hotel or other full-time business to a variety of NYC tourists and locals. Does your listing on NYC Insider Guide need updating? Hours of operation, address and more can be updated here. This is a place for you to really feature your business. Must be at least 500 words, include at least 1 image, a link to your website and generally highlight your business. It is a place to feature your business to our site visitors, so please make it count. Choose from multiple business promotion packages or get a free listing. Upload photos, descriptions, contact info, store hours, coupons and more. MUST be a physical business in NYC – no online business, services or apps being accepted at this time. After you pay, click "Return to Merchant"
If you have any trouble, please email me at melissa @ nycinsiderguide.com.